Hi, there fellow Woodturners. We’re about to close out 2017 and turn the page into 2018. Our first meeting will be on Tuesday, January 2 at 6:30 PM. We’ll gather at Hunter House* as usual. We’re going to start out the year with a demo from Bruce Lacy who will show us how to turn multi-axis objects. 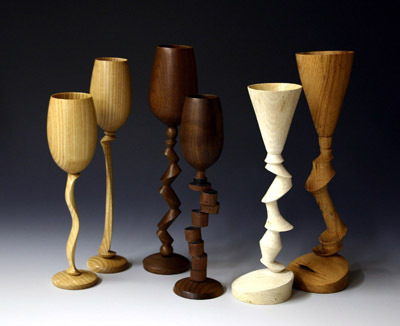 If you ever wanted to know how some turners can get odd shapes and curves in their turnings, this is the demo for you. We’ll have our standard raffle and show-n-tell during the meeting. If you have items you would like to donate to the raffle, bring them with you next Tuesday evening and for each item you donate (up to three), you will be given one free raffle ticket. Tickets are $1.00 each or six for $5.00. Raffle proceeds go in the treasury and help us pay for supplies, demonstrators and other operating expenses. Bring your latest turning to share with everyone so we can be awed by your talents and share in your turning experiences and expertise. If you have any completed Beads of Courage bowls, please bring them to the meeting so we can get them to the folks at Hemby Children’s Hospital. The next drop off at the hospital will be in early February. When you see these folks on Tuesday, offer them your congratulations, support, suggestions and your willingness to assist with the club’s outreach programs. I hope to see y’all on the 2nd. * Hunter House is located at 13428 Providence Road in Weddington, NC. If using a GPS, change the city to Matthews. Hi there fellow Woodturners. Our last meeting of the year will be on Tuesday, December 5. We’ll be meeting at Hunter House* at 6:30 PM. The program will be a demo/discussion of proper tool presentation and use with a hands-on component for those so inclined. Our soon-to-be past President, Rick Erexson will be leading the program. 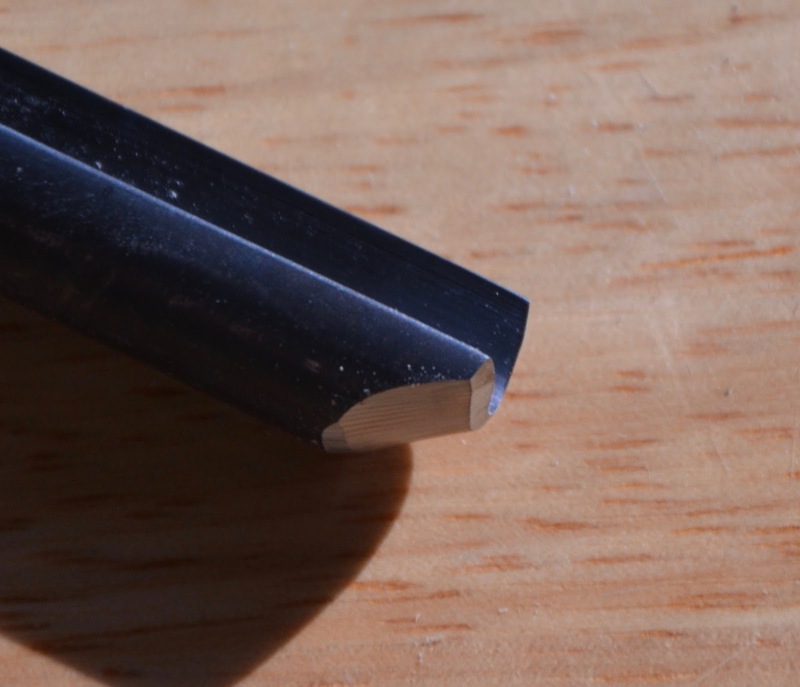 If you have questions about how to use a Skew chisel or why you don’t use a spindle roughing gouge on bowls, now is the time to ask questions and get a uniques perspective from Rick. Here is your chance to help make a difference with our club. We need a volunteer trip become the new VP. Kim is moving up so we need someone to take over for her. If you are not familiar with the duties of the VP, drop me a note. We will also have a raffle. If you have spare wood or tools laying around your shop gathering dust, donate them to the raffle. For each item (up to three) that you donate, you will receive one free raffle ticket. Tickets are $1.00 each or 6 for $5.00. Bring your recently turned items to share with everyone during the Show-n-Tell session. I hope to see y’all on the 5th. *  Hunter House is located at 13428 Providence Rd, in Weddington, NC. If using a GPS, chafe the city to Matthews. 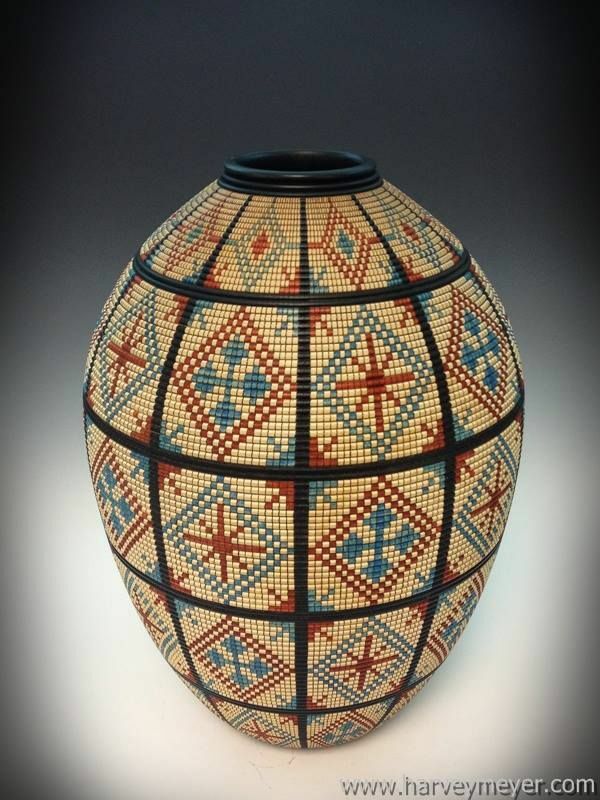 them to vessels beaded every 1/8 inch. Colored in by hand! Our September meeting is scheduled for 6:30 PM on Tuesday, September 5 at Hunter House* in Weddington, NC. Come early to discuss your ideas with other turners. This month's meeting will feature Bill McGuiness and bowl turning techniques. Bill  is a seasoned turner who teaches bowl turning, among other things, at the Woodcraft location in Matthews. Please join us for an evening of tips and tricks and the art of bowl turning. As usual, we will be holding a raffle for woodturning-related items. If you have anything related to turning cluttering your shop and gathering dust, donate it to the raffle. For each item you donate, you will receive one free raffle ticket (up to three items). Spare wood is also good for raffle donations. We'll also have a show-n-tell session so bring you latest creations to share with everyone and let us know how you turned them. We are still accepting Beads of Courage box donations. If you have made any, bring them to the meeting and we will make sure we get them to the kids at Hemby Children's Hospital. If you are unfamiliar with the program, just make a lidded box/bowl about 5 " in diameter (or larger) by about 3-4" tall. We have the special beads you'll need to complete the bowl. Keep in mind the NC Woodturning Symposium is rapidly approaching (Nov 3-5) and we still need volunteers to help with the demo room we are responsible for. We'll have sign-up sheets available at the meeting. Hope to see y'all on the 5th. *  13428 Providence Road. If using a GPS, use Matthews as the city. Well, McGuniess may not do this but his expertise will be evident. Well, best laid plans and all that. We'll be meeting on Tuesday, July 11 (second Tuesday) this month instead of Saturday the 8th as noted in my previous email. We could not find a demonstrator who would be available on Saturday. So, Tuesday the 11th at 6:30 PM is the final decision. "Carolina wood turner John Benton, whose mantra is 'to discover and unlock the beauty in these natural pieces from nature so all can enjoy' is the guest turner this month. He will be making a special multi-use Jam chuck, and move to turning a sushi platter with the jam chuck, then demonstrating the use of color and finishing the sushi platter if time allows. The use of surface embellishments and Benton’s quest to develop his own artistic path has been greatly influenced by his extensive study with world renowned wood artist Binh Pho. 'To be able to tell a story with each piece, something I am passionate about, a piece that would be recognized as mine for its statement and meaning, is what I aspire to' "
This is a demo you do not want to miss. We will also hold our monthly raffle and show-n-tell programs. Tickets for the raffle are $1/each or 6 for $5. If you have wood, tools or anything else you no longer use or need, please donate to the raffle. For each item (up to three) that you donate, you will receive one free raffle ticket. Bring your latest turnings or really cool new tools to show off during the S-n-T portion. If you by chance have made any Bowls of Courage, please bring them with you so we can get them to the most deserving kids at Hemby Children's Hospital. See you on Tuesday the 11th. Hey there Fellow Woodturners. I hope your Turnings have gone well this past month. Yep! It’s that time again - our next meeting will be June 6 at 6:30 PM. As usual, we’ll meet at Hunter House in Weddington (if you need directions, please drop me a note). Come early to enjoy soft drinks and tall tales with fellow turners. Know anyone who might be interested in Woodturning? Bring them along. No experience is necessary. This month's program will be on Shop/Turning Tips and Safety. This is a somewhat different program than we’ve had in the past. Rick, Kim, Gary and John will start the program with a short discussion and then turn the meeting over to — wait for it — YOU! 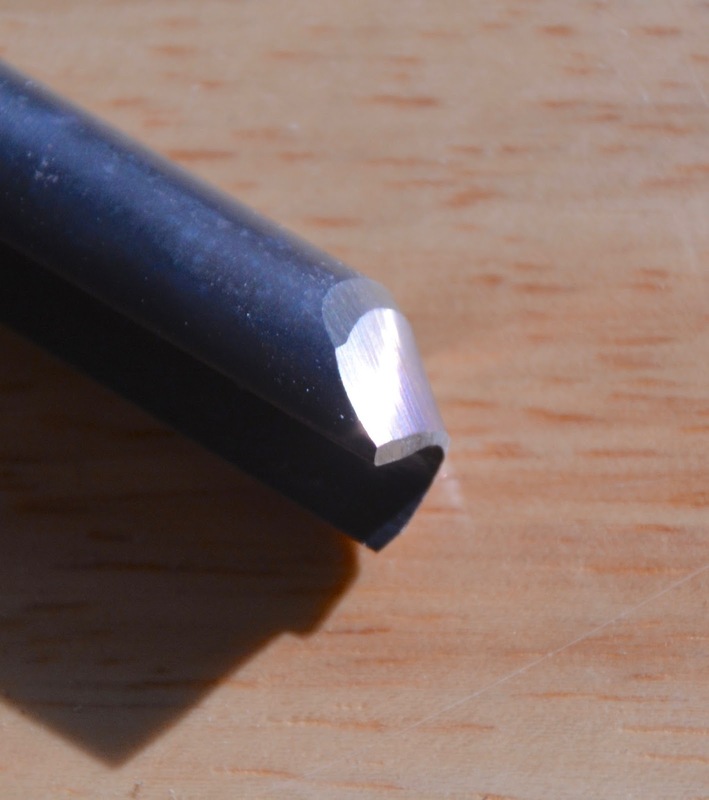 We want each turner to show or tell us about a jig or technique you’ve used or come across that helps in your turnings. We also want you to tell us about either a personal safety experience you’ve had or heard about that perhaps changed the way you turn. We’ll wrap up this portion of the program with a short PowerPoint presentation on safety. One of the best way we can improve as turners and woodworkers is to share our tips and experiences with one another. Novice turners and seasoned turners alike can teach us all a new trick or two. Everyone who has ever turned has his or her own tales to tell, so get those stories and jigs queued up and share them. In addition to the program above, we’ll be holding our monthly raffle and our show-n-tell session. So, if you have any items you no longer use and want to donate them to the raffle, we’ll give you one additional raffle ticket for each item (up to three) that you bring in. We would love to see what you’ve been doing in your shops all month long, so bring in those newly turned items and show them to us and tell us how you made and finished them. If you have any Beads of Courage bowls sitting around gathering dust, please bring them with you so we can get them to the kids at Hemby Children’s Hospital. We have experienced some problems with the mailing list over the past few months. To rectify this situation, we have created another mailing list. This one is called WWTurners@googlegroups.com. I sent an email to everyone in Waxhaw Woodturners last week inviting you to join the new group. So far, of the 45 who have been invited, 29 have joined. We would like to see everyone move to this list so we can get rid of the other, inaccurate and problem riddled list. Until that happens, however, we’ll have to send emails to both lists so many of you may receive duplicate emails. I apologize in advance for this but it is necessary to make sure everyone gets our notices in a timely manner. So, if you have not yet accepted the invitation sent last week (or dumped it into your Junk folder 😱) please click on the link in the email and join our fresh, new, merry band of turners. If you did not receive the email, let me know and I will send you another invite. Hope to see y’all on the 6th. And remember; It is hard to understand how a cemetery raised its burial cost and blamed it on the cost of living. My how time flies. It seems that just a few, short weeks ago we met … of wait, we did.😉 Well, for the record, our next meeting is Tuesday, April 4 at 6:30 PM. As usual, we’ll be meeting at Hunter House*. Come early to enjoy some conversation with fellow turners. Our demonstrator this month is Ric Erkes. Rick will be talking about what he’s learned in almost twenty years of turning. His primary goal is to share thoughts on tools/accessories that work versus those that are a waste of money. He’ll discuss simple jigs that you can make that save time and money and he’ll spend time showing how to effectively use a bowl gouge. Ric will also talk about how he sand bowls versus vases and the simple finish that he applies. Time permitting, he'll show some simple techniques for fluting, chattermarking, and carving. In one word the demo is all about ideas. Please bring those items in your shops you no longer need/use (wood, tools, jigs, blanks, etc.) to share with others via the raffle. Tickets are $1.00 each or 6 for $5.00. For each item you donate to the raffle (up to three), we’ll give you an extra ticket. We would love to see what you have been working on. Please bring your recent turnings and let us know how you made and finished them. If you have made any Beads of Courage bowls, bring them with yours well. * Hunter House is located at 13428 Providence Rd., Weddington. It is an old farm house; the house is just north of Weddington. Park in the front yard. If using a GPS, substitute Matthews for Weddington. This month's meeting will be on Tuesday, March 7 at 6:30 PM; we'll meet at Hunter House. Come early to help set up and have a chat with fellow turners. Our program for this month is Finishing. 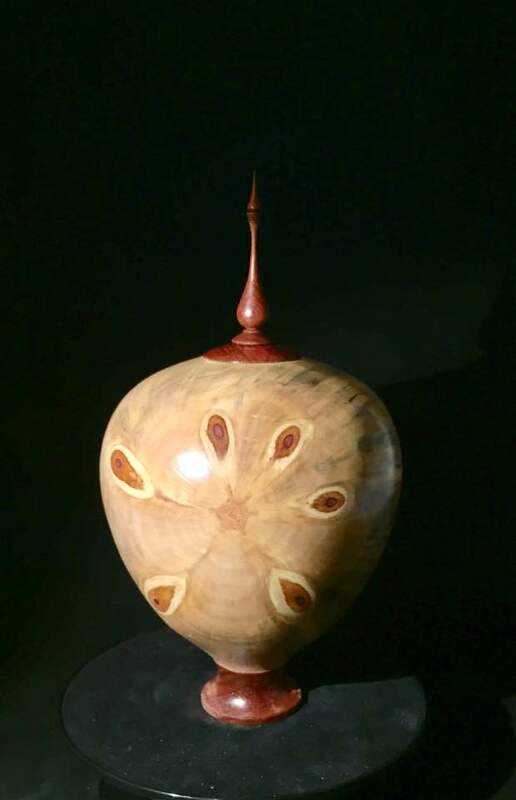 John Walsh and Bruce Lacy will demonstrate various methods for finishing turned objects. 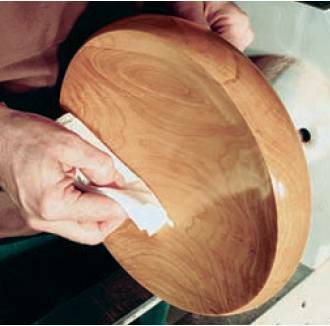 Proper finishing is key to successfully completing a turning and could mean the difference between a nice bowl and an object d’art. If you have any items taking up space in your shop and you would like to donate it to the raffle, please bring it along. For each item (up to three) that you donate to the raffle, we’ll give you an extra raffle tickets. Tickets are $1 each or 6 for $5. If you have recently made something, bring it along as well and place it on the Show-n-Tell table. You can then tell us how you made it. One other item we’ll discuss is the new Club Bylaws. We will explain them to you and point you to a link on our website where you can review them over the next few weeks. During this time, we would like to hear from you if you have any comments, suggestions or recommended changes. Once we have your input, we will once again publish the draft bylaws and will vote during the April meeting to accept or reject them. A reminder: We’re going to be attending the Union County Heritage Festival on April 22. The festival will be held at the Union County Agricultural Center, 3230 Presson Road, Monroe, NC 28112. We’ll set up between 7:00 AM and 9AM and will turn until 5:00 PM. Well need several volunteers to man the lathes and chat with festival goers. A sign-up sheet will be passed around at the meeting. As usual, guests are alway welcome at our meeting - no experience necessary. If you have any finished Bowls of Courage, please bring them along. Hi there, Woodturners. Our next meeting is less than a week away. We’ll be meeting at Hunter House on Tuesday, February 7 at 6:30 PM. Come early to share your stories with other tuners and enjoy a cup of coffee or a soft drink before the meeting. This month, Jack Reyome will be demonstrating a process by which you can take a not so pretty piece of wood and change it’s look completely with copper and gold leaf. Jack will go over the steps from beginning to end. If you have some “Plain Jane” (or is that Plain Grain?) wood you want to make a bowl, vase, platter or other turning from and you want it to look spectacular, then this demo is for you. We’ll also be holding the raffle and the show-n-tell session as usual. If you have any wood working/turning items you no longer need or use or spare wood laying about, donate them to the raffle. For each item you donate (up to three), we’ll give you one extra raffle ticket. 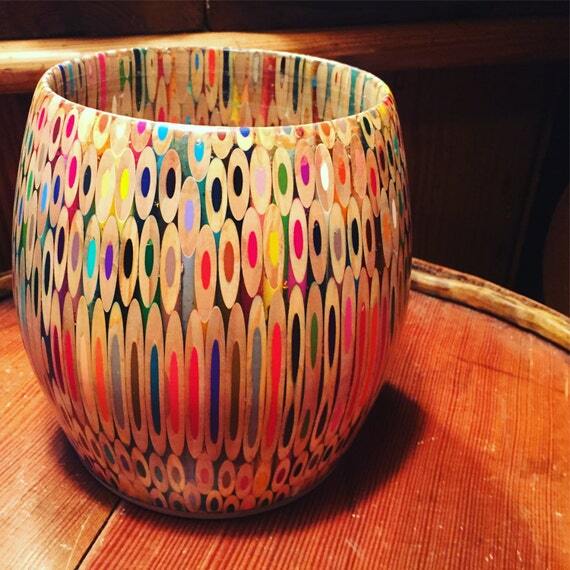 Bring your latest turnings to dazzle us and describe how you made and finished them. Jim Bellina, a long time member, is cleaning out his shop and has donated some of his no longer used tools and supplies to the club. We plan to dispose of them by selling, auctioning and/or raffling them to raise money for the Treasury. Rick will provide more details at the meeting. An inventory of Jim’s donations is in the attachment. A big thanks to Jim. We have been hosting the middle schoolers from Omni Montessori School and teaching them the basics of woodturning. We have two more sessions with them — February 6 and 13 — and could use some help teaching and mentoring these youngsters. If you have the time, we’ll start at 8:30 AM and go to 10:30 AM on those two days. We’re also going to be attending the Union County Heritage Festival on April 22. The festival will be held at the Union County Agricultural Center, 3230 Presson Road, Monroe, NC 28112. We’ll set up between 7:00 AM and 9AM and will turn until 5:00 PM. Well need several volunteers to man the lathes and chat with festival goers. A sign-up sheet will be passed around at the meeting. Please also reserve May 20 and 21 for the Waxhaw Art Kaleidoscope festival in downtown Waxhaw. We’ll provide more details as we get them. We found a tool last Winter that has been named Bottom Feeder by Frank Johanson of Sarasota. This tools is designed to be able to shape the bottom of a bowl -large or small- with minimum fuss in sanding it afterwards. When we turn an end grain bowl there always seems to be those two spots on opposite sides of the bowl where the grain is not cut just right. Thus we end up starting to sand with 80 or even 60 grit and it takes forever to get it smooth enough to look good. Now Frank had this tool designed, resharpened, and repositioned and tested. See the 45 degree main grind....? presented to the bottom of the bowl with the open (Groove) up and a slight angle to the left. Only the 75 degree portion is in touch with the wood. The heel is removed to allow the first angle to be used to carefully cut as needed. You may find a different angle will work best for you but I assure it is great tool. Yours truly has tested it and WHOA! it works. 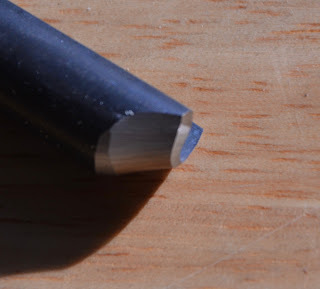 This works well using a tool like a 1/2" spindle or 1/2" detail gouge. Re-sharpen as above and get ready for brilliant bowl work with minimal sanding required. This is free just for being a Member of the Waxhaw Woodturners Club (courtesy of Frank Johanson of course). PS. A group of hens (or female chickens) is called a brood, and a group of baby chicks is called a clutch. However a group of eagles is referred to as a convocation.